Zamalek dismissed Montenegrin coach Nebojsa Jovovic just five months after appointing him following Wednesday's 1-0 loss to Talae El-Geish in the Egyptian Premier League, the club announced. "The board of directors, led by chairman Mortada Mansour, decided to sack Nebojsa after the defeat against El-Geish," Zamalek said in a statement on their official website shortly after the match. The 43-year-old took over at Zamalek in August shortly after helping Jordan's Al-Faisaly win the Arab Championship in Cairo in a remarkable run that included two wins over Zamalek's Cairo rivals Ahly. He was given little time to prepare for the new season though and was heavily criticized by the team's faithful for failing to settle on a starting line-up, making several changes every game. Zamalek were shaky under his guidance, losing four and drawing as many games in their first 16 matches to fall nine points behind Ismaily and eight adrift of Ahly, who still have a game in hand, at the halfway stage of the season. Jovovic was on the brink of leaving the club last month after Zamalek said he was resigning but they eventually granted him a reprieve. 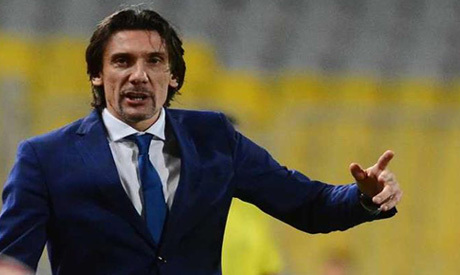 Results started to go Jovovic's way after three consecutive wins kept alive Zamalek's hopes of competing for the title but the sudden reserve against El-Geish sealed his fate. Outspoken chairman Mansour was quoted by local media as saying the White Knights would appoint an Egyptian coach before meeting nemesis Ahly in the first Cairo derby of the season on Monday.